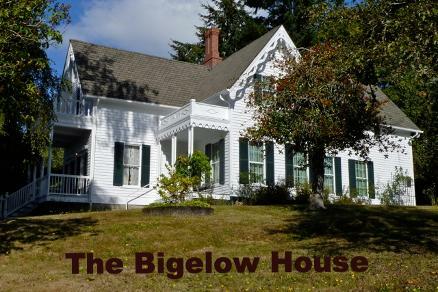 This site is maintained by the Bigelow Neighborhood Association, and is intended to acquaint viewers with the character, assets, history and activities of the Bigelow Neighborhood. To be on our Email list, please sign up below. 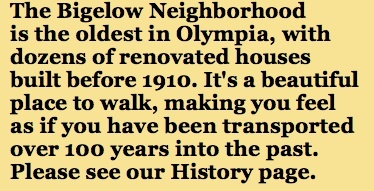 Do you have suggestions for the Bigelow Neighborhood Association? Write us here. • In the ONNA neighborhoods (Bigelow, Bigelow highlands, Upper Eastside, Northeast and East Bay Drive), there is very little violent crime. The biggest problems here are home break-ins and car-prowls. Home Burglaries were more common unitl 2015, but in response to an ONNA program, have been cut tio less than half. Here is an article, which may help you do what's possible to prevent burglaries at your home and neighbors' homes. Want to be on the BNA Email list? We'll keep your information private! 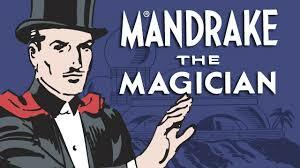 See an incredible magic trick here!